Two Ian McEwan novels have been adapted into films premiering at the Toronto International Film Festival – which starts tomorrow September 7th. On Chesil Beach, stars Saoirse Ronan and Billy Howle, while Emma Thompson, Stanley Tucci and Fionn Whitehead play the leads in The Children Act. FilmFixer client boroughs provided some locations for both. FilmFixer director Andrew Pavord explains, “On Chesil Beach needed a few London locations, some of which were for quite significant scenes. “The Territorial Army Centre, on Kings Avenue in Lambeth for example, was a big shoot. In November last year, 100 cast and crew moved in for a day’s filming. “Then, in March this year the production used Lewisham’s Broadway theatre. On Chesil Beach is about a young couple in the early Sixties, initially on honeymoon in Dorset – on Chesil Beach – fretting about the consummation. The story turns into a combination of horror and comedy. For the separate production, The Children Act, locations including Camberwell New Cemetery in Southwark were used. Andrew Pavord says, “Southwark Council staff helped out by digging a fake grave for the filming. “The scene involved 75 cast and crew, showing mourners around a grave, with Emma Thompson standing slightly apart, watching from the footpath. There’s a close up of the coffin being lowered into the grave and dirt thrown ontop. The production also filmed outside Vintry Court in Porlock Street, making a donation to the Crosby, Lockyer and Hamilton Tenants and Residents Association. The home of the 17-year-old key character Adam, played by Fionn Whitehead, was filmed on Rigmore Rise, in Lambeth’s Forest Hill. Again, here the production made a donation to tenants and residents. In Camden, Emma Thompson leaves Lincoln’s Inn to cross into Carey Street before heading inside the Royal Courts of Justice. We see Emma Thompson walking along High Holborn, through Fulwood Place, towards Field Court and along, toward Gray’s Inn Square. About 125 cast and crew were involved in filming around Gray’s Inn Square. The Children Act also explores a marriage. 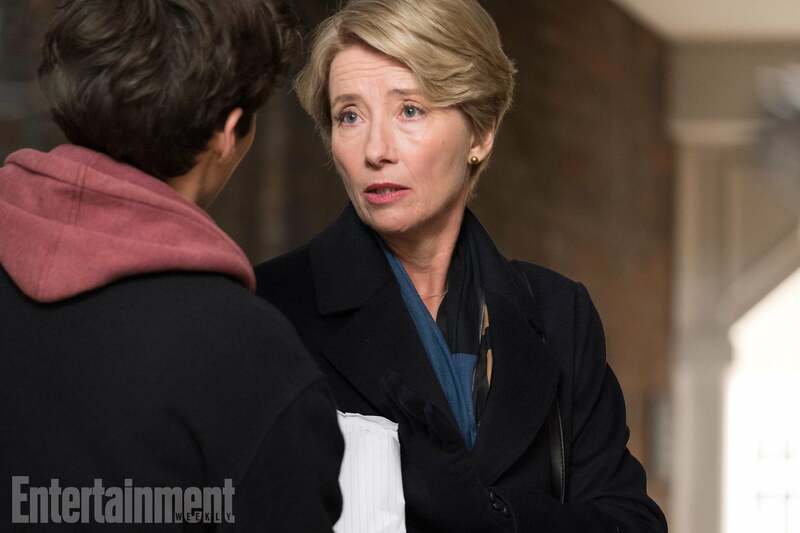 In this case Emma Thompson plays a judge whose relationship is affected by a case involving a young man who refuses a blood transfusion that would save his life.